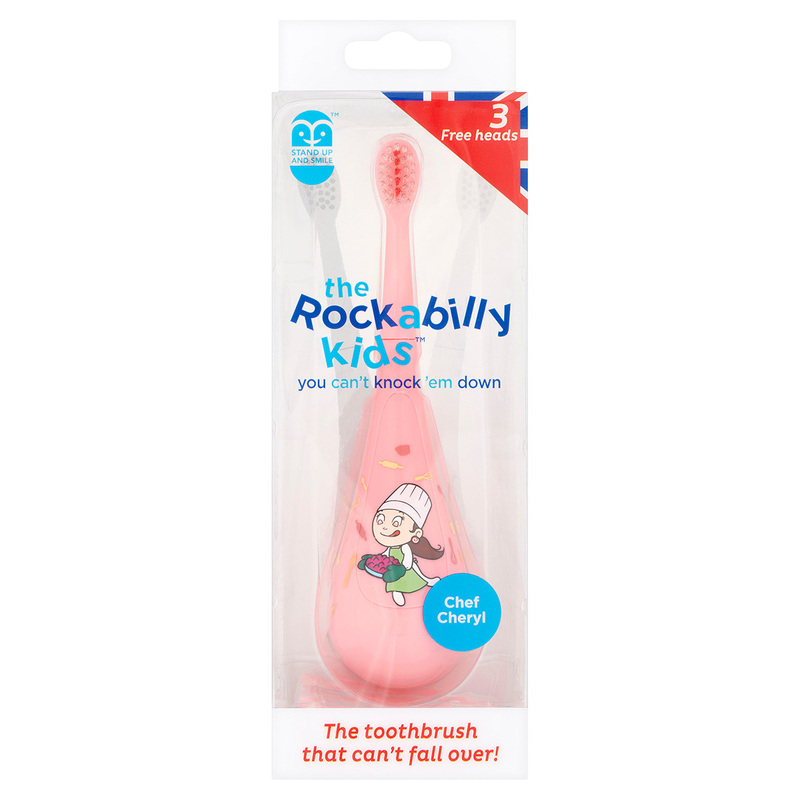 The Rockabilly Kids aims to make the lives of mothers and fathers easier by providing a toothbrush that children want to use. 'The Rockabilly Kids' will be saving you both time and money!! 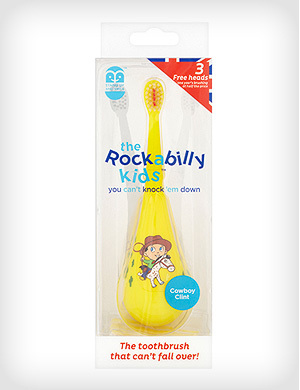 The pack contains a whole years brushing in a box. 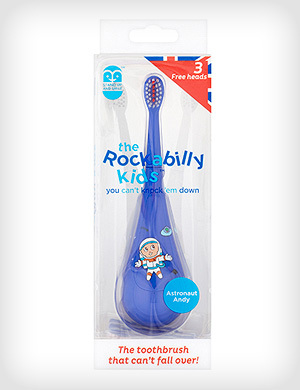 Designed on the advice of multiple dentists and hygienists, we concentrated on creating a soft toothbrush head. 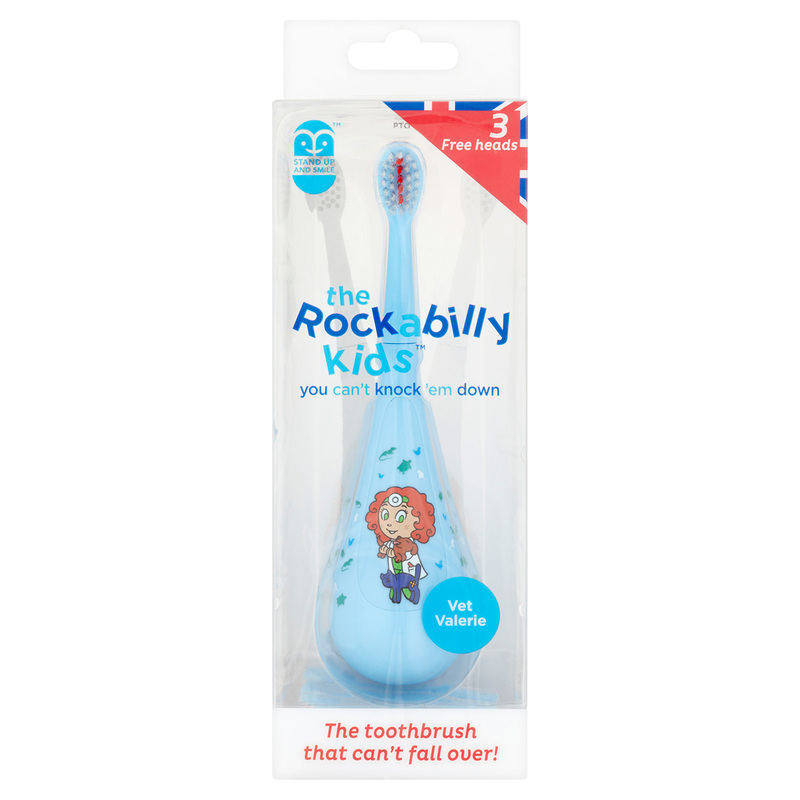 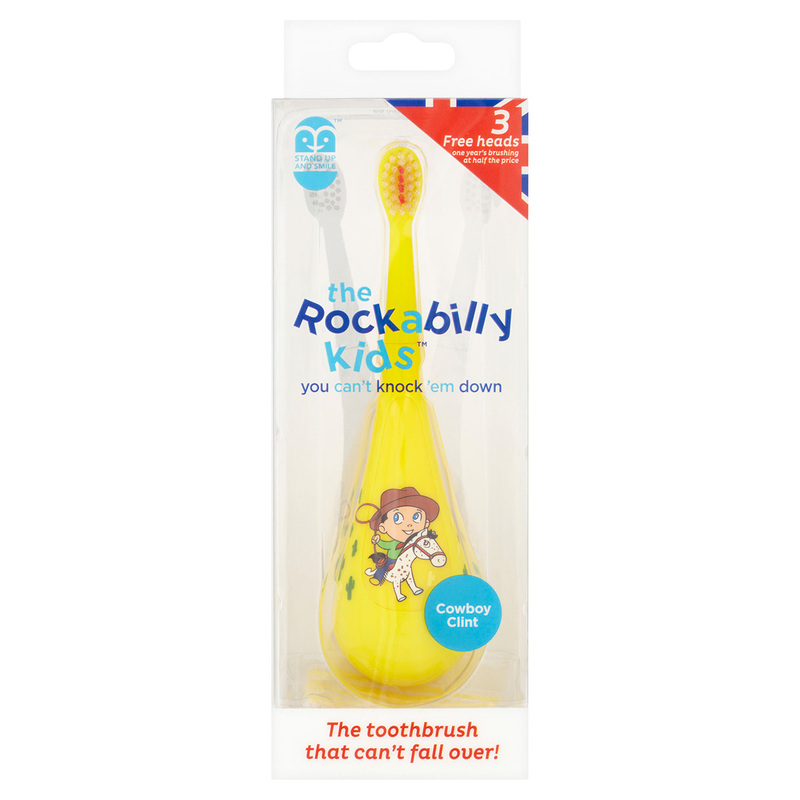 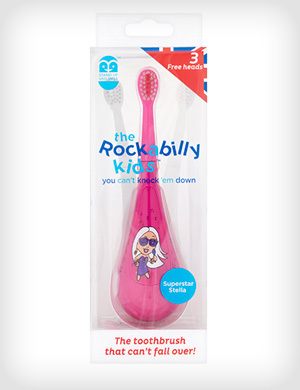 The Rockabilly Kids do not require a toothbrush holder as they ' Stand Up ' on their own. 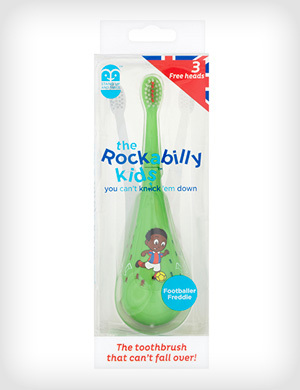 Interested in joining our ever growing list of Stockists? Contact our founder Hamish directly if you have any queries: info@standupandsmile.com. 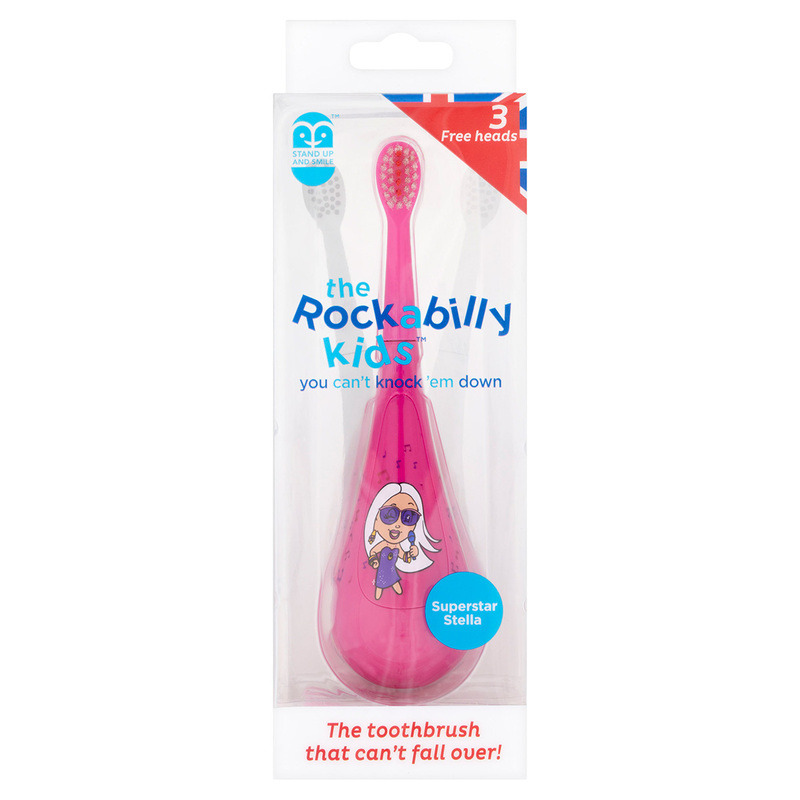 Stand up and Smile Ltd is a British manufacturer specialising in the creation of innovative children's products. 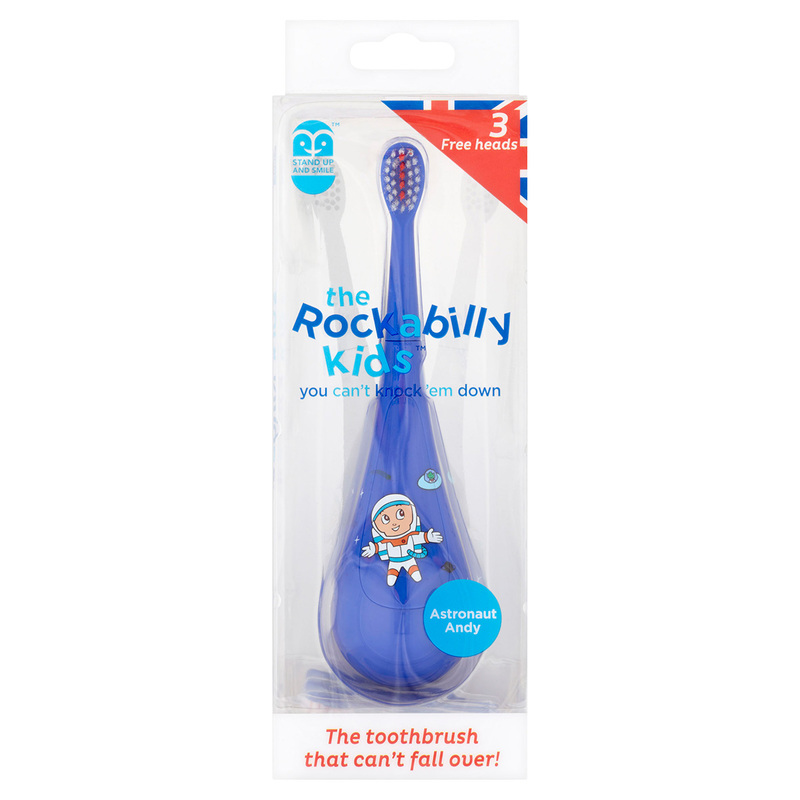 The company was founded by Hamish Khayat, a young inventor and serial entrepreneur with an unrivalled passion for creating products that improve parent and children's lives.